Who would have thought there would be such beauty hidden in such a small town. 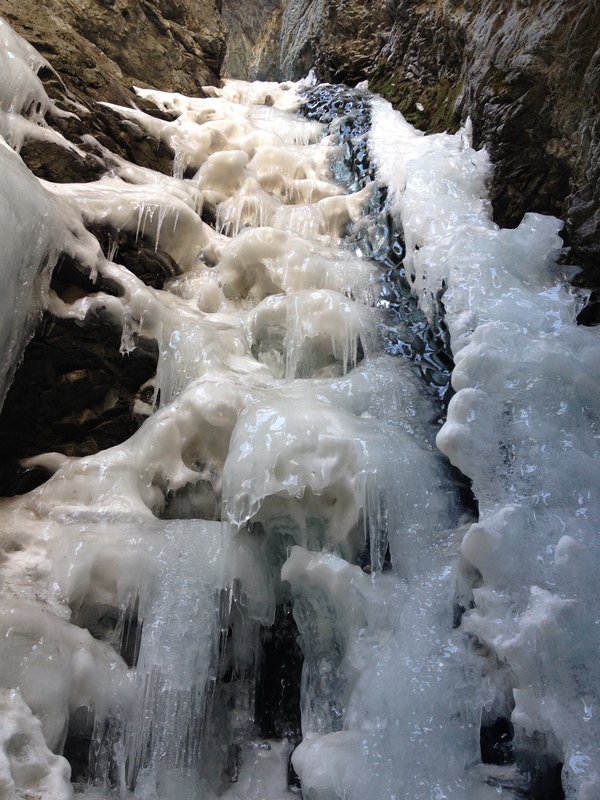 During a hike up a nearby mountain, I was greeted by a frozen waterfall. My eyes could not fathom the beauty and perfection of it. 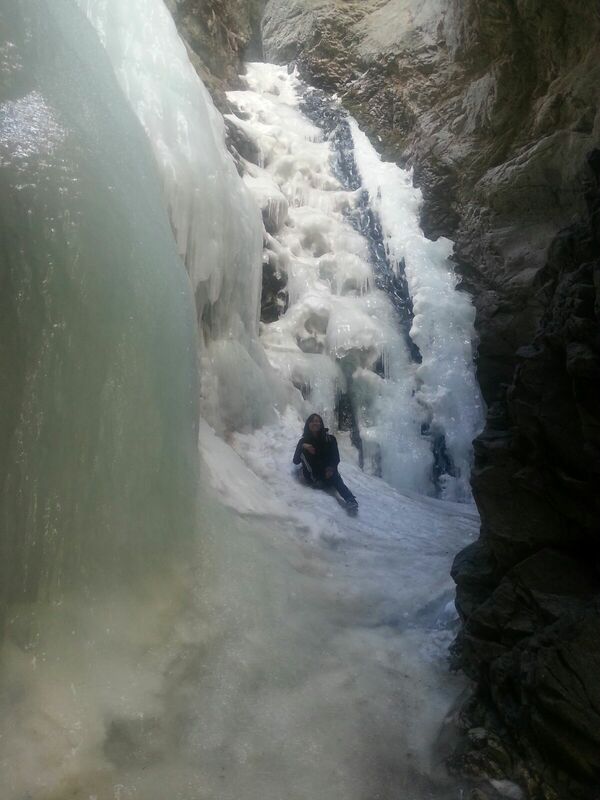 My thoughts became like the waterfall….. frozen in time. All my worries, all my troubles, everything… simply just vanished. 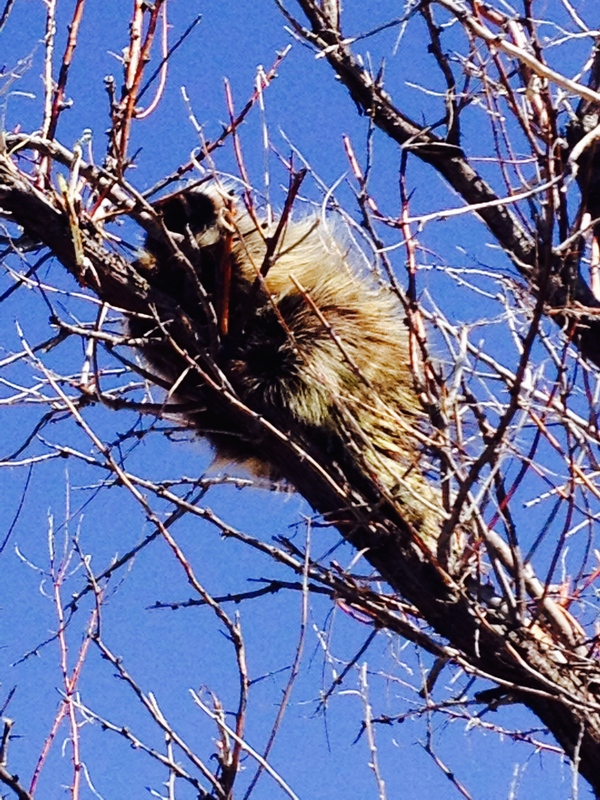 The longer I stood there, the more it became clear…. The beauty of nature should not be taken for granted. People try so hard to create beauty in themselves and their materials, that they fail to realize where true beauty is found. Only in nature can you truly see beauty. Only in nature can you truly live. Only in nature will I feel at peace. This is where I belong… outdoors. This waterfall did more than just grace me with its beauty. It made me realize that being a biologist is what I want in life. Every other career just seems mediocre to me. I thought the day could not get any better.. how wrong was I!!! A small chunk of the Sahara Desert was cut out and dropped in the middle of the valley. 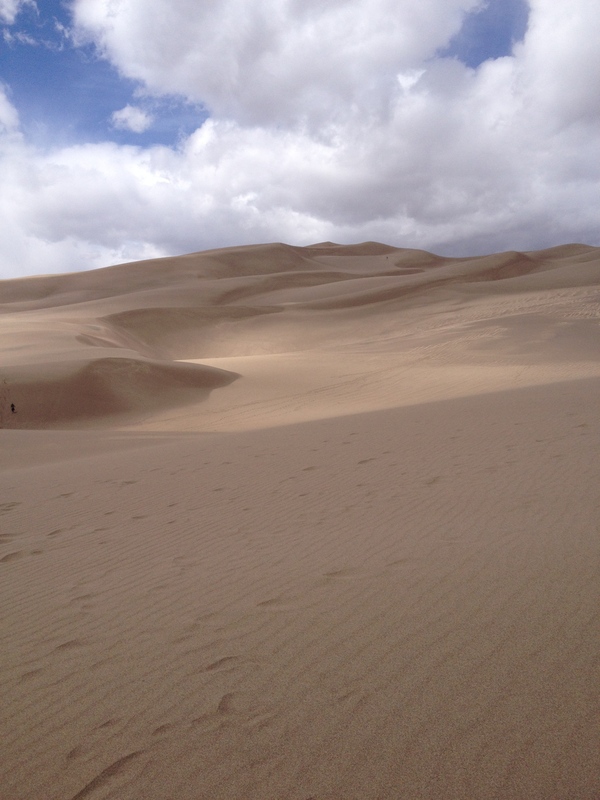 That is the only way I can describe the Great Sand Dunes. They seem so out of place. 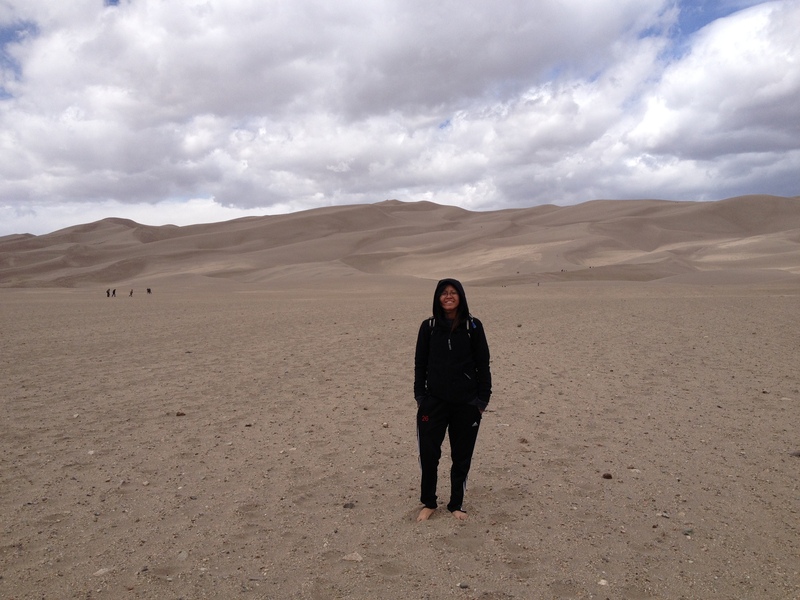 You’re surrounded by mountains one minute, the next your shoes are filled with sand. As I sat down, I felt the warm sand engulf my feet and the gentle breeze caress my face. Before I knew it, I was deep in meditation. My mind shut off. My senses enhanced. I became one with my surroundings. At last… I felt like a true buddhist. This was only the start to a great week! I learned about real, hard work. I aided in the deconstruction of wire fences on BLM land. In other words, I was covered in dirt, sweat, cuts, and nails. Surprisingly, I had a lot of fun! Mianna and I accompanied our field Instructor to the Blanca Wetlands for a second time. 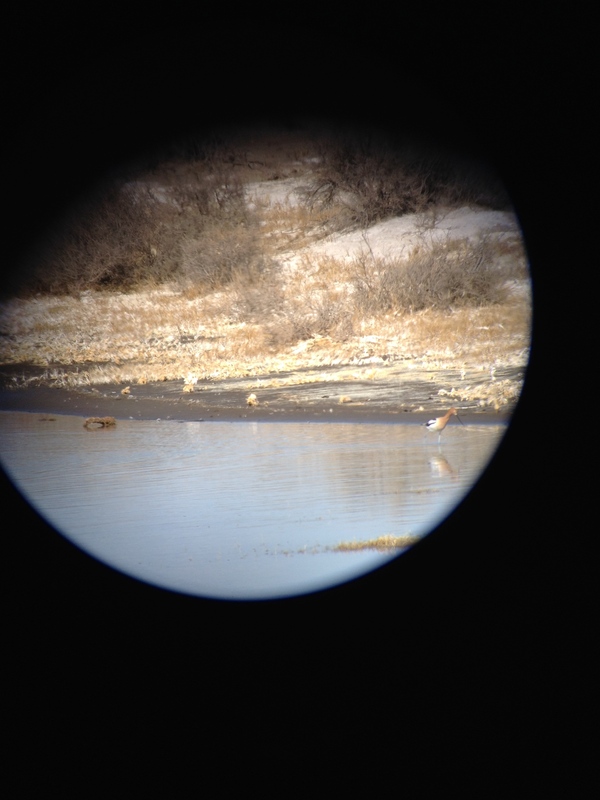 We saw the beauty of four American Avocets, and one porcupine.